Alexandra Health was established in 1983 and has developed into an integrated sports and health clinic. The health team of Chiropractor, TCM Acupuncturist, Physiotherapist, and Massage Therapist strive to work together to ensure each client is directed to the therapy which will suit and help that client/condition the most. The team of practitioners are carefully selected and trained as they need to be open-minded with each therapy’s limitations/qualities and consciously practise patient-orientated health. This isn’t limited to within the walls of Alexandra Health, we connect and refer to many other health professionals and engage with local doctors if required. Our clinic operates by the client first making an appointment with the therapy that connects the most with them. On this webpage, under each therapy name when clicking the services tab you’ll find information about when to choose that therapy. It is important for people to begin to understand how different therapy’s work and self-direct themselves initially. This is unfortunately because there are very limited health professionals that truly understand the depths of each therapy to be able to refer and direct accurately. This results in people having to think for themselves and try out different therapy’s until something works, usually by this time the condition can be quite chronic. Our focus is to educate ourselves as practitioners on the intricate details of each therapy option and take more responsibility for ensuring the client’s healthcare path is most optimum. Kate Perriam purchased Alexandra Health in April 2017. She is passionate about integrated health and strengthening the medical system in area’s that it lacks, including; integrating natural and alternative health into the healthcare system, and improving systems for correct healthcare guidance. Kate also continues to have a successful TCM Acupuncture clinic in Wanaka, NZ for the last 4 years, called The Acupuncture Room. Rana Boerman (Alexandra Health Acupuncturist) also works with her in this clinic. Chinese Medicine Acupuncture can help with, and attracts, a large range of conditions so she treats many different patterns of ill-health. Because the clinic is ACC registered, she works a lot in sports and physical health. Many also come in for Womens health, fertility, and pregnancy due to her specialised training and experience in this field. She has a 4yr Bachelor of Science in Traditional Chinese Medicine (TCM) Acupuncture and is currently working towards her Masters in Chinese Medicine in Women’s health. Also has many sideline natural health qualifications with future enrolment in NIS (Neuro-Intergrative System) in 2018. 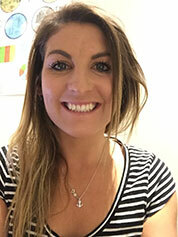 Ashleigh has been working in the health profession for 6 years now as a Chiropractor. 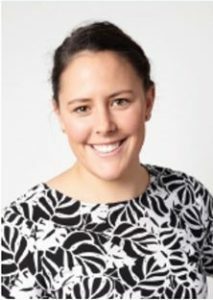 She works closely with families to make sure they are healthy as they can be, which can be different for everyone, including treating mum through pregnancy, babies when they are born and dads after playing around with the kids in the back yard. Our structure and function are closely related to each other. When we experience dysfunction in our joints from either chemical, physical or emotional stress we notice our bodily functions become compromised. Whether this presents as headaches/migraines, hormone troubles, sleeping issues, back pain or digestive issues, these are all signs that there is dysfunction within our structure. Ashleigh love’s so much about her job, particularly that she is able to help the client find areas of dysfunction and correct them, allowing the body to regenerate and repair itself, likes it’s so incredibly designed to do. When she’s not in the clinic, you’ll find her out on the water paddle boarding, doing yoga or taking her two beautiful Labrador dogs out for walks. 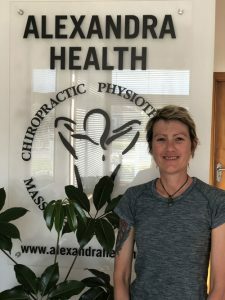 I started working at Alexandra Health on a part time basis in June 2015 and I enjoy working with a great team of clinicians and meeting a variety of people who come to the clinic for treatment. My background is as a Business Administrator predominately in the hydro generation sector in Clyde and in Taupo where I worked for GNS Science in the earthquake and volcanic science area. I have lived in Central Otago for 28 years and after a move to Taupo for 7 years, returned home to beautiful Central. Outside of work, I enjoy spending time with my husband, travelling and catching up with my three grown up children and five grandchildren. 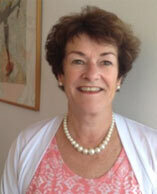 I am new to the team at Alexandra Health after working as a Media Sales Consultant for Stuff NZ Ltd for over 8 years. I have been in Sales, Administration and Marketing Roles for most of my working life to date. I am excited to be part of such a fantastic team with some incredibly talented clinicians. Our clients are so friendly and I am enjoying meeting new people within our community. I have lived in Alexandra for almost 9 years after moving here from Dunedin. I have an 8 year old daughter and a 5 year old son. Outside of work you will find me at The Tin Goose Café, Walking or at PT Central Gym in Alexandra! I love spending time with my children who are my world. My name is Pauline McBreen. I have returned from Central Otago after working in Canterbury at the Bone Marrow Clinic at Christchurch Hospital as a Healing Touch Practitioner. I grew up and raised my family in Central Otago. This is where I began doing Healing with family, friends and their animals. I am excited to bring back Healing Touch to Central Otago and feel it is a great opportunity to meet the needs of our local Central Otago Community. I will be providing my services from the Alexandra Health Clinic every Thursday from 1-2.15pm. Lisa has been a physio for 15 years and has a huge passion for her career, helping people with injury and rehabilitation. 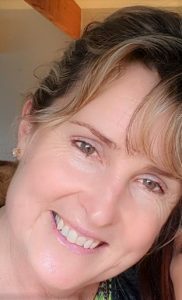 She specialises in musculoskeletal treatment and has a post-graduate in Western acupuncture which is invaluable to supporting clinical skills and patient outcomes. Lisa also combines her Physio skills into her massage treatments, getting lasting results from combining trigger point and fascia release work. Her passion lies with young athletes and has strengths in sports and rehabilitation in all ages and stages. She is motivated to be apart of Alexandra’s community and work in with organisations and events to offer off-site Physio and Massage. Outside of work Lisa compete’s in Obedience with her three dogs and enjoys mountain and road bikes. Lisa really looks forward to meeting new people in the gorgeous Central Otago area, and helping using her vast skill set.